Jose Nevarez, director of live video production at the University of Portland, came to the NewTek booth at NABShow 2017 for a conversation about UP’s growing sports broadcast and streaming program, and a look at NewTek IP Series and TriCaster® TC1 for their future growth. The University formerly contracted out live production, and the contractor did about 20 games per year concentrated on basketball and football, with maybe one or two baseball games. 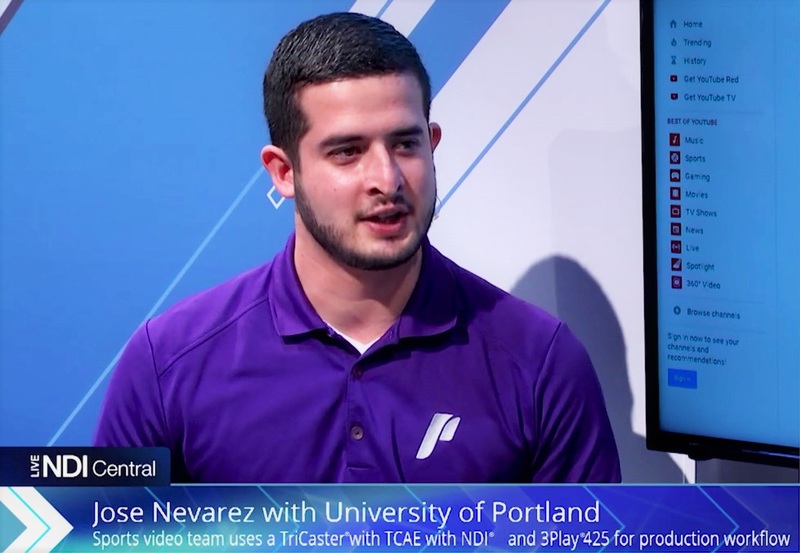 The conference purchased a TriCaster 860 for the University about three years ago, and the University brought Nevarez, an experienced video producer and TriCaster user, aboard to ramp up an in-house live sports production program. “By bringing it in-house we were able to cover all our sports,” says Nevarez, who adds that they now do 70 events per year. Nevarez has been able to add capability by moving up from 3 to 5 cameras, upgrading to TriCaster Advanced Edition and adding a 3Play® 425 for instant replay and slow motion playback. The 3Play’s ease of operation is a boon in the environment where students must do most of the production work. Nevarez reports that he doesn’t often get to do pre-show training, but generally can sit new students down at the 3Play at start of a game and show them the basics, and by the second half they are confident and proficient. Another area of growth has been adding broadcast. All games are live-streamed, and the quality they were achieving was broadcast ready. On the strength of that, a couple of years ago the University began a relationship with Comcast SportsNet Northwest that offered a package of 8 games that year. They’ve done more broadcast games every year since and expect to do 20 games this year. The move to IP for video production is something the program has embraced. “We’ve been heavily incorporating NDI® into our workflow. It just makes it a lot easier when our entire campus is networked, instead of having to run more wire or fiber,” Nevarez says. 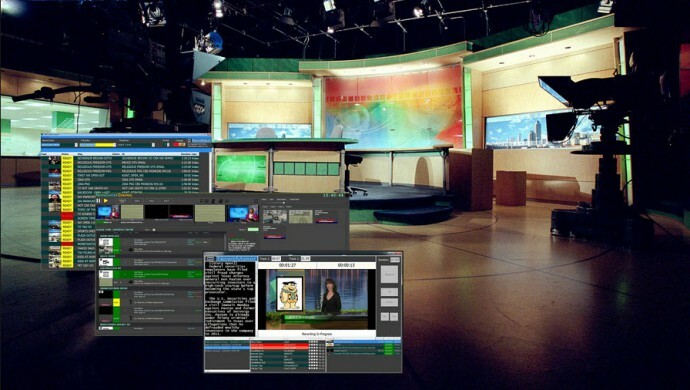 The campus has four sports facilities, and he has been able to use computers equipped with NewTek Connect Pro to get the video from the cameras in the other three facilities to the main control room in the basketball facility, as NDI. This was all done using existing network infrastructure and just plugging into it with a network cable.